Your beautiful photo is all the decoration these Ooh La Color Napkins need! The white, three-ply, patent pending luncheon napkins will add the perfect finishing touch to your wedding reception, bridal showers and other celebrations. 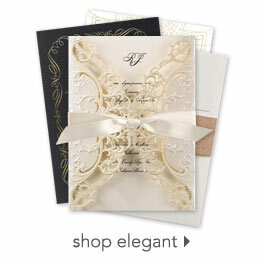 Your names and wedding date are printed in your choice of two imprint colors. Choose any lettering style for your personalization. Napkins will ship separately. The napkins provide a personal touch to the event.